The Celestron CPC 1100 StarBright XLT GPS Schmidt-Cassegrain 2800mm Telescope with Tripod and Tube has an extensive databank of up to 40,000 celestial bodies. Users can find Messier, Caldwell Catalog, planets, and even NGC bodies through the use of the data bank. 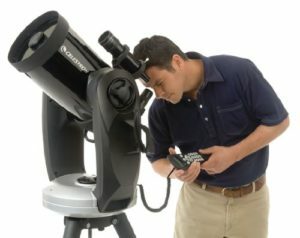 Orion 8945 SkyQuest XT8 Classic Telescope Review – What Are Its Features?